All the data APPs!! I find most biking apps are created to put me in constant competition with others or so I know my calorie lost. But that's not why I ride or use apps. I started using Strava recently to map my ride because I felt like my guesses were inaccurate on mileage, average speed and elevation changes. So it is nice to see accurate counts. However the heart rate and health benefits and compeition listings are kind if whatever. 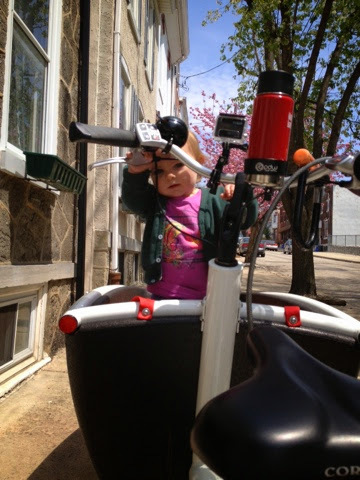 Especially since most people riding are riding bikes lighter then my kids seem silly to compete with. 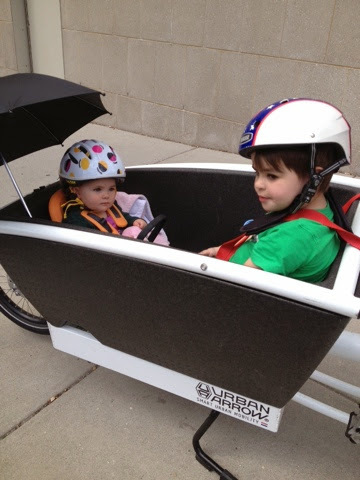 There are no options for adding the weight of cargo/kids etc or why you are riding. So while I will never be KOM (king of the moutain) I bet I'm beating these other local people on weight I'm carrying!! Cycle Philly, is a new app in town sponsored by the Delaware Valley Regional Planning Comminsiom who regularly do bike counts and have permanent counters but wanted to add another layer of data submitted from the users. The app records cyclist biking habits such as route and time traveled, as well as the purpose of the trip. The purpose is my favorite that means us non-work commuters can say "grocery run" or preschool! This data isn't meant to replace Strava or any of the other competition /fitness apps.